2 Bedroom Edinburgh Holiday Apartment. This apartment is entered directly from The Royal Mile, just next door to the famous John Knox House. This particular property has 2 large bedrooms. 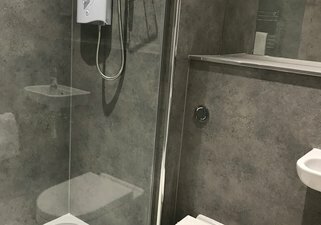 1 double and 1 large twin room. The lounge is spacious enough to offer a double sofa bed if required to take the occupancy up to a maximum of 6 adults comfortably. 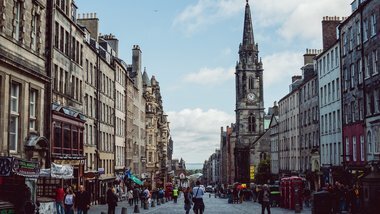 Being located on The Royal Mile many of Edinburgh's tourist attractions such as Edinburgh Castle are a short stroll away. 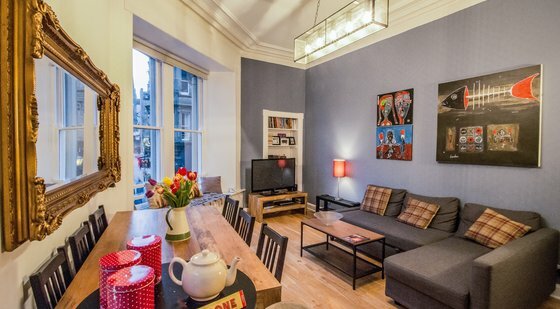 This apartment benefits from a very bright spacious lounge with large windows overlooking The Royal Mile. The lounge has a double sofa bed and dining area recessed into the rear of the room, with oak table and seating for 6. 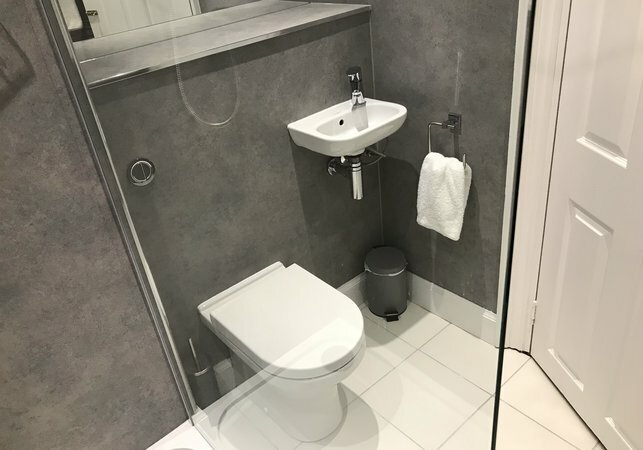 Small Double room located to quietly to the rear of the property. Twin room has 2 full size single beds, double height wardrobe with built in drawers. Our double room has a queensize bed, built in wardrobe / drawers and views to the rear of the property. 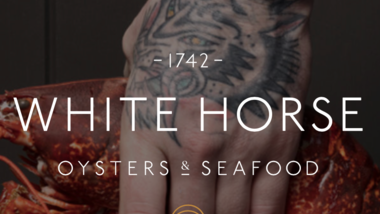 Although when staying on Edinburgh's Royal Mile the vast selection of fine dinning, traditional and contemporary restaurants are literally on your doorstep, we have insured that our kitchen is fully equipped for your convenience. There is a brand new (October 2018) bathroom in this property with huge walk in shower.. there is a also a brand new separate WC.. this is very useful for larger groups of 6 when getting ready to head out into the city. 1 x Double bed, 2 x single beds and 1 x Double sofa-bed in the lounge. The apartment is all on one floor. 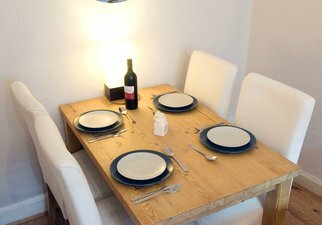 This apartment is entered directly from The Royal Mile, just next door to the famous John Knox House. The property is located in the heart of the Old town on The Royal Mile. Only a 5 minute stroll from Waverley Train station. Edinburgh airport is 8 miles from the city centre. 🚘 New street carpark is located just 2 minutes from the apartment. This property is located on the second floor. 🏉RBS 6 Nations. 🏃‍♀️Edinburgh Marathon. 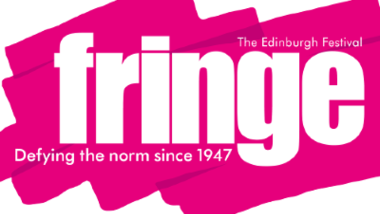 🎭Edinburgh Fringe 2019.